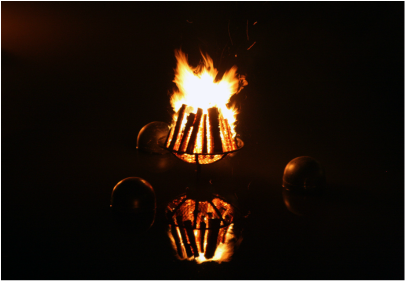 The internationally acclaimed artist who created WaterFire, part of a distinguished career as an artist and art professor at the Massachusetts Institute of Technology. His work includes mixed media and site-specific sculpture, photography, film, garden design, architectural projects, writing and conceptual work. WaterFire exemplifies his interest in the revitalization of public space and the creation of new civic rituals. Evans was originally trained as a scientist but has worked exclusively as an artist for the past 25 years. Evans received the Renaissance Award from the City of Providence in 1997 and Honorary Doctorates from Brown University and Rhode Island College in 2000. With William Warner, Evans shares the Massachusetts Institute of Technology’s 2003 Kevin Lynch Award for the design of Waterplace Park. Evans’s work has been the subject of hundreds of newspaper articles and is on display at museums that include the Boston Institute of Contemporary Art, the Rhode Island School of Design, the Victoria and Albert Museum in London, the Bibliotheque National in Paris; and the Musee d’Art d’Histoire in Switzerland. Kansas City Aerial Arts is an aerial and acrobatic company that aims to shape and develop the aerial art form as well as inspire love for creative movement in our students, artists, audiences and community at large. Collectively, through the Performance Company, Training Company and studio programs, it is our goal to support each student and artist who comes into our space and to help them build strength and develop skills according to their goals and potential. Quixotic is a Kansas City-based, internationally performing, arts collective collaborating to produce new forms of artistic expression. 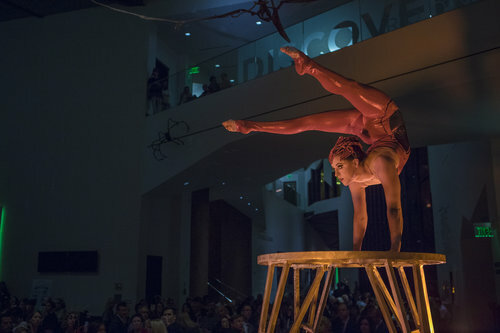 This inventive group of artists goes beyond traditional performance to blend a multi-layered sensory experience. StoneLion Puppet Theatre’s 18’ long glow –in –the dark Celestial Snake Puppet will be roaming Waterfire this year. This giant puppet was built with community involvement in 2013 and is just one of StoneLion’s many giant puppets celebrating Mother’s Day for Mother Earth annually at The Nelson-Atkins Museum. More information at www.stonelionpuppets.org. Trio Forte is a vocal force of three classically trained musicians based out of Kansas City. The trio, comprised of American sopranos Melissa Faltermeier, Elizabeth Birger, and Christina Fracul first came together on an operatic platform performing Johann Strauss’ “Die Fledermaus.” Recognizing the warmth and richness of their voices together, they united to form the powerhouse that is known today as Trio Forte. They continue to tour on the national stage.Acclaimed for their lush and tight harmonies, the trio stays true to its operatic roots by performing well-known and beloved arias with a modern twist. Always expanding on their versatility, the group also delves into a wide spectrum of musical genres: jazz to broadway, and gospel to contemporary. Trio Forte is thrilled to be returning to WaterFire again this year. Please join them around the Kansas City area in the upcoming months for various holiday concerts.